Canberra Airport’s international terminal is located within the same building as the domestic terminal. Our award winning International departures lounge was designed to provide a club lounge experience to all international travellers. The public lounge includes state of the art business and media lounges, private meeting rooms, and expansive bar and café dining area. The lounge features a variety of different seating and meeting areas with plush, European furniture. 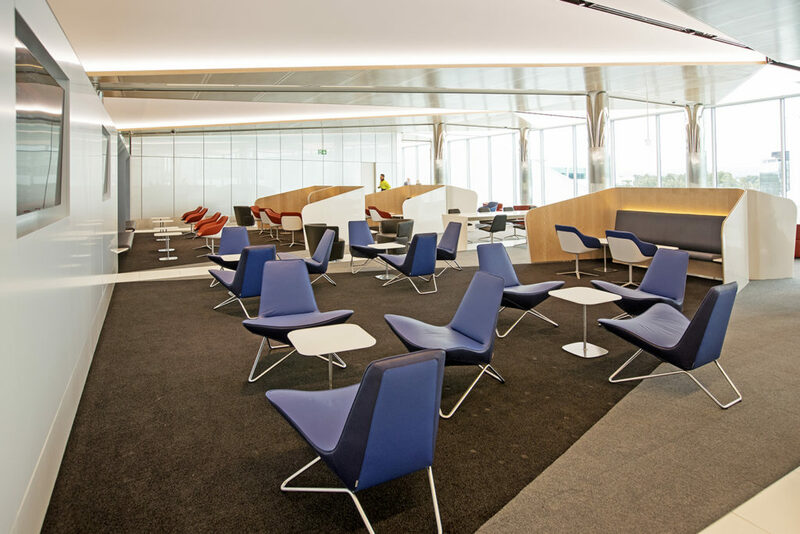 The use of innovative seating modules provides visitors with a sense of privacy and intimacy, while providing the power and data connections required by the modern traveller. Check-in counters are located on level 2. Qatar Airways and Singapore Airlines are located to the left as you enter the building. The International departures lounge is located on level 3 of the airport terminal. After checking-in, continue through the domestic screening point in the centre of the airport terminal. 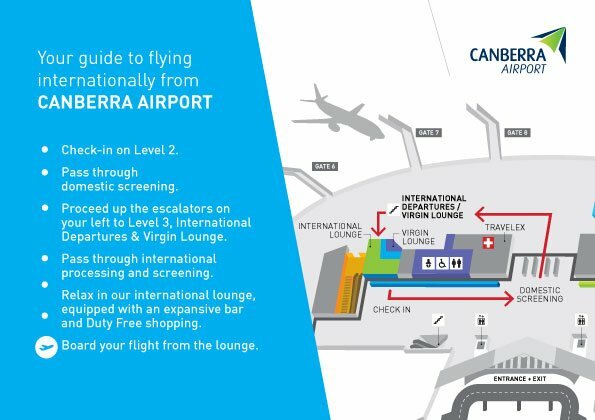 From there, turn left and continue to the escalators towards “International Departures” and “Virgin Australia Lounge”. The International departures lounge is located at the top of the escelators and opens 2 hours prior to departures. International arrivals are located on the ground floor of the airport terminal. Upon disembarking your aircraft, continue downstairs to the Australian Customs and Border Protection checkpoint within the Australian Customs and Border Protection Service-controlled area. International travellers will exit the Australian Customs and Border Protection Service-controlled area on the ground floor of the terminal next to arrivals gate A. All ground transport options depart from the ground floor, including taxis, rideshare and the public bus. In addition, the Express Pick-Up and 10 Minute Free Pick up locations are located at ground level.